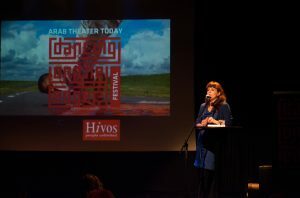 Since 2007 Dancing on the Edge has been working in and with the performing arts sector in Europe and the Middle East. Our experiences have provided us with an elaborate network and deep understanding of the sector. Besides presenting and promoting (performing) arts, we also play a role as connector and want to promote exchange of knowledge. Our mission is to further develop our international communities and broaden the horizon for a new generation of artists, programmers and theater professionals that have a global mindset. Therefore we encourage and initiate international collaborations and partnerships, and offer our role as mediator and expert to contribute when possible. If you wish to collaborate, partner, use our expertise, or simply contribute to the artistic dialogue and exchange of knowledge that Dancing on the Edge stimulates, get in touch! Read more in-depth stories in our online magazine DOTE.